Polar wildlife and nature from Antarctica, South Georgia, Falkland Islands and the Arctic. 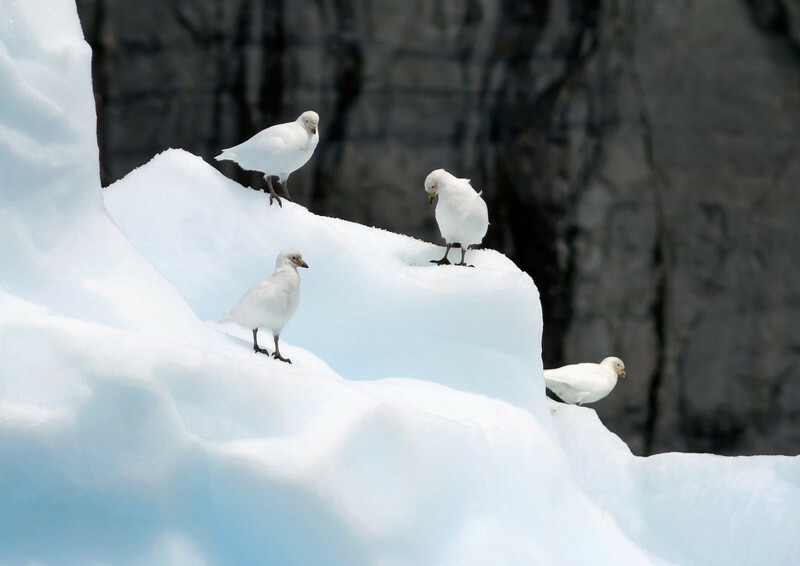 Group of Snowy Sheathbills (Chionis alba) also known as a Pale-faced sheathbill or Paddy. Usually found at Antarctica. Photograph by Christian Wilkinson.